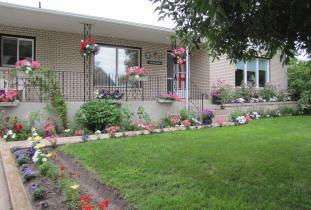 Our home is a built-in-1986 bungalow centrally located in the Town of Neepawa. Garden area at the back of home is perfect for outdoor relaxation. There is a fire pit in the backyard for that evening bonfire. Sammi our eleven-year-old, domestic-short-hair cat shares our home. She is very shy and it may be that you will not even meet her. 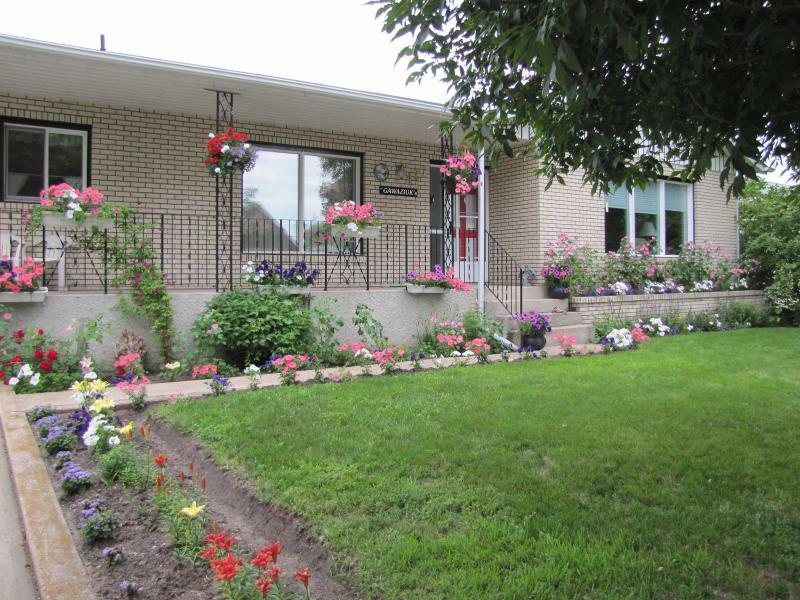 Neepawa is the home of Margaret Laurence House Museum and Manawaka Gallery. The Stone Angel (Davidson Memorial) rests in the Neepawa Cemetery. Each summer the graves are graced with thousands of colourful flowers.